I am a northern Wisconsin girl, who moved to the south. Yes, a Midwesterner that loves to grill. Alongside the Packers, it’s kind of a lifestyle. Tailgating is a separate entertainment category that holds special memories, but when I moved South, I realized I was out of my element when it came to a few things. True, southern grilling requires the knowledge of all things BBQ, and I hadn’t a clue. In fact, the thought of attempting any kind of ribs brought instant thoughts of grilling failure. Surely, this was going to be much too complicated for me, so I avoided grilling up ribs. As the years went on and our boys grew bigger and bigger, BBQ ribs became one of their favorite foods, and after many requests, I finally decided to dig in and go for it. WHY, oh WHY, did I wait so long? Slowly, very slowly, I am developing the technique that would make a true grill master proud. Every one needs to realize that delicious ribs requires patience. It’s a marathon, not a sprint, and they will never make it into one of my Ten Minute Dinner Recipes. The key for ribs is SLOW and LOW, meaning take your time and keep them on low heat. Although, if you are a ribs purest, please run the other direction or cover your eyes, since I have a confession that will make you hyperventilate. One of my next purchases will be a grill or smoker that will allow me to really tackle ribs in a matter fitting the NC BBQ tradition, but one of my tricks to “hurry” the process along is to begin by baking or simmering it first. I know, some of you hear boil and you gasp, but you know, it really works well for me and my family sings these ribs praises. I’ll post another option soon, but this is what I did for these. I placed my ribs in a large pot with just enough water to cover. This isn’t like boiling noodles, you don’t want it full. I seasoned the water with garlic cloves, onion, onion powder, and some McCormick’s Montreal Steak Grill Mates. Yes, I use these typically as dry rubs or marinades, but it’s ideal to help flavor the meat as well. I have a variety of McCormick’s in my pantry and love using them for my Power Cooking Meals. Then bring water to a boil, turn down heat and simmer. You can simmer until tender, although I took my out a bit before, and let them finish on the grill. For my three pounds, it was about 30 minute in the water. (Baking or boiling also allows you to render off some of the fat before placing it on the grill. ) I transferred them to a platter, sprinkled with some more McCormick’s seasoning, and then slathered them with your favorite BBQ sauce. You choose the flavoring. Since I had coupons, making Kraft such a great value, I often have 5 flavors on my shelf at all times and use them for many recipes. Next, put on the grill, but make SURE that you place then on indirect heating. Yes, for the cool picture it looks like it’s right over the flames, but really, we grilled them with indirect heat until they were “Fall off the bone” good. These were so good that my son literally thanked me again the next day. 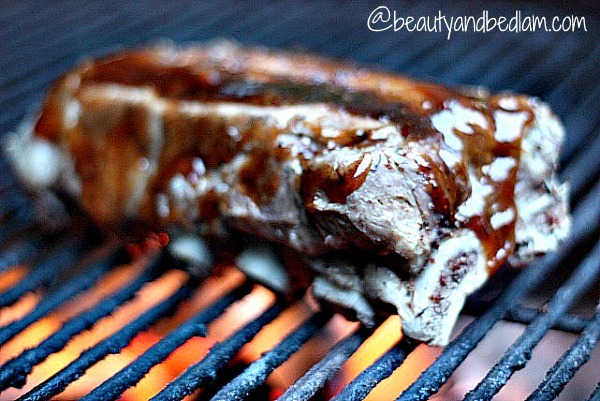 Do You Have a fantastic Spare Ribs Recipe to Share? 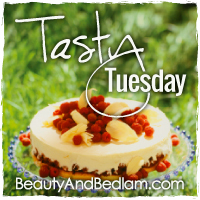 Now, it’s your chance to share your Tasty Tuesday creations this week. I like wet ribs, prepared by someone else. I love grilled ribs with barbecue sauce and a side of corn on the cob. I follow you on pinterest, as well! Your ribs look absolutely mouthwatering! My late Dad always grilled amazing ribs, and he always baked them first too. Thank you for hosting the linky, and have a lovely week. We grilled ribs for the first time on the 4th of July. I baked them wrapped in foil and then we grilled them. They were much easier than I expected! They were a real treat! I bake them at a low temp for hours and then put them on the grill. I like Spicey ribs, grilled with BBQ sauce. I like Kansas City Style ribs with a side of cole slaw and green beans. Being a New Yorker, transplanted to Texas a year ago, I am learning that I love ribs but I don’t think I will be brave enough to try cooking them for awhile. My vote is ordering them off a menu or going to a friend’s house who is grilling them! With corn on the cob. I love barbeque ribs in the crockpot. 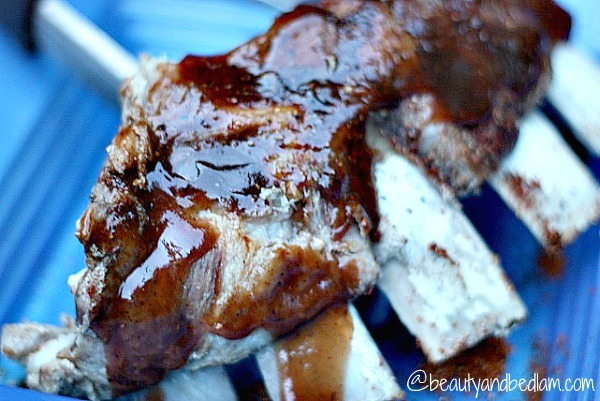 I love barbecued ribs done in the slow cooker – fall off the bone delicious! I love ribs specially, if they are juicy. I like ribs with plenty of sauce. I like them with coleslaw. 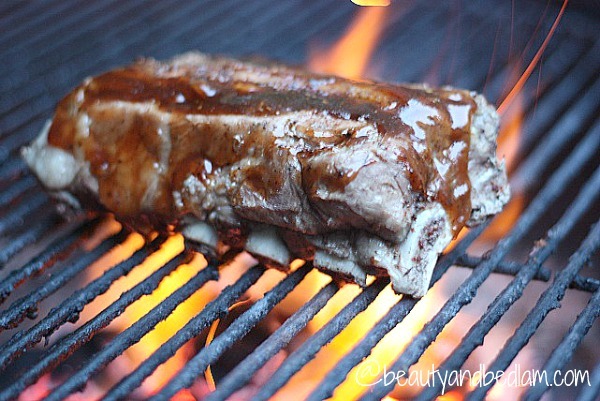 I love BBQ ribs on the grill covered in a good dry rub! I love BBQ ribs with a spicy rub. I love my ribs grilled, slathered in honey BBQ sauce. Thanks! I like dry ribs with corn on the cob (why not get all the messy finger foods in) and cole slaw. I’ve yet to try making our own, but it doesn’t sound too hard, thanks! Now I want ribs!! We (by that i mean my husband) make our ribs similar to yours – bake on low for a couple of hours then grill and add bbq sauce. So good!! I love ribs with bbq sauce and corn on the cob! i do a rub with a lot of spices and brown sugar and then back in the oven for 2-4 hours til they come of f the bone. (in the summer, hubby does them in the bbq with a smoker box and they are delish – but low and slow takes all day (or night)). I love my ribs grilled! I bake mine until they fall apart! I love any and all types of ribs! 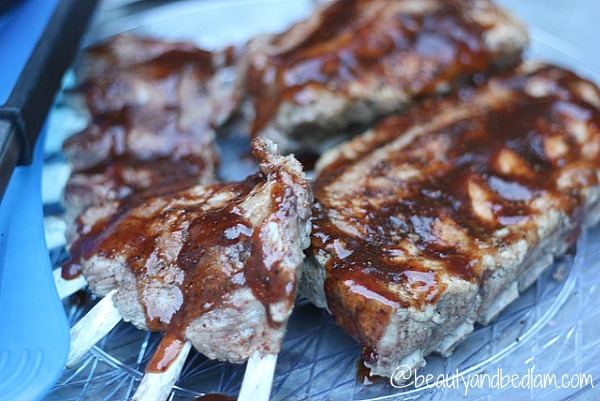 i like ribs with tons of sauce – the messier, the better! My favorite way to enjoy ribs would have to be honey BBQ’d, slowly cooked with corn on the cob..